Forex brokers will generally allow you to use leverage of up to 50 times your cash levels, so the swings in account balance can be huge if you max out. And unlike a stock purchase, which limits your risk to the amount you invest, when a forex trade goes awry it can wipe out your entire account and then some. Currency trading is not for the faint of heart, but for the adventurous trader who wants to speculate on currency moves, it is important to go in with your eyes open and know what to look for when choosing a forex broker. No commissions forex brokers make money by widening bid-ask spreads, thereby making it harder to compare costs. A common advertising message used by some forex brokers is: “no commissions” forex trading. As enticing as free forex trading sounds, the reality is brokers simply roll their costs into the spread. The bid-ask spread is the difference between the bid price that dealers or brokers pay to buy a currency and the ask price at which they sell a currency. By rolling their costs into the bid-ask spread and widening it, forex brokers make it difficult for traders to easily compare costs. When selecting among the best forex brokers, consider which currency pairs are available to trade, the degree of leverage offered, the range of tools provided and whether the forex broker is regulated. Costs are just one factor to consider when choosing a forex broker. Another thing to look at is whether your forex broker supports trading in the currency pairs you want to trade. The 7 major currency pairs are listed below and most forex brokers will support them all but it is worth the extra step to verify whether they also support more exotic currency pairs before funding your account. Another factor to consider is what leverage the forex broker offers. Typically, leverage of 10:1, 20:1, and even 50:1 is offered. Beginner forex traders should use leverage cautiously. Start by choosing a forex broker that offers a demo account so you can practice risk free. And it is common sense when speculating on currency moves to start with low leverage or no leverage initially – we cannot overemphasize the risks are high in forex trading. Another big factor to consider is whether your forex broker is regulated. The currency trading brokers listed below are regulated by the National Futures Association and Commodity Futures Trading Commission but not all forex brokers are. Some forex brokers are offshore and unregulated while others are regulated in other countries. Lastly, forex brokers will vary in terms of the tools offered to clients. If you use macro events and data to inform your currency trading decisions, then timing tools and charts may be less important. However, as a technical chartist, tools may be crucial to your currency trading. Whichever category you fall into, be sure to pick the best forex broker for your specific needs. TD Ameritrade is a top notch broker for stock trading and options trading, so it’s no surprise it tops the list for best forex brokers too. For some currency pairs, TD Ameritrade offers an FX no-commission structure where the cost of the trade is reflected in wider spreads. Note that any accounts with risk levels less than 100% at 4am EDT will be liquidated and intraday if risk levels fall to 25% or below, liquidation of positions takes place. The thinkorswim platform by TD Ameritrade has garnered a loyal following among options trading enthusiasts but it rivals the best of the best with its currency trading offering too. The thinkorswim platform is known for its stellar charting tools, advanced screening, customizable interface and extensive back-testing features. These capabilities extend to its forex platform which caters to custom currency pairs. Beginner forex traders have access to in depth educational resources and extensive customer support at Forex.com. 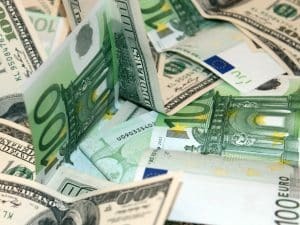 Beginner forex traders may wish to get started at Forex.com. While TD Ameritrade captures the best in class title, the array of features can be overwhelming when you roll up your sleeves and get started trading forex. Forex.com makes it less intimidating to get up to speed if you have come from the world of equities trading. However, you will still need to learn terminology, such as lots, pips and pairs, as well as how forex quotes are displayed. With its extensive educational tutorials catering to beginner, intermediate and advanced forex traders and thematic guides helping you to understand risk, trading strategies, technical analysis, fundamental analysis, and the platform itself, Forex.com guides you step-by-step through the ramp-up phase. As expected from a broker who serves beginners well, customer service is top notch and extensive. Although the forex market is open 24 hours a day 6 days a week, customer support is available on Saturdays too from 9am to 5pm ET – when the market is closed. High volume forex traders should consider commission-based brokers, such as TD Ameritrade, while lower volume traders may find better value using a forex broker who makes money from spread markups. Fee conscious forex traders have an uphill climb comparing brokers on account of the two ways forex brokers charge: commissions or no-commissions with a spread markup. To gauge which brokers offer the best deal, the width of the spread is a key indicator. Narrower spreads mean the broker is pocketing less and giving you better bid and ask prices compared to other brokers who make money from spread markups. Based on global forex trading volume, we assumed that most forex traders hone in on the major currency pairs, where Oanda leads the pack on costs. If you know that you will be trading less frequently, Oanda’s spread markup structure is likely your best bet – plus the bonus is you pay no activity fees. But if you expect to actively trade in high volumes, the commission-based structured offered by TD Ameritrade may offer better value. Have you speculated with currency pairs trading? What FX trading tips can you share? We would love to hear from you in the comments below. >> Is Netflix Stock A Buy Or Sell? ‹ What Is A Stock Split?